Straight Line Construction of Shingle Springs, California, has signed agreements to become the exclusive Gutter Shutter dealership in Northern California. Straight Line Construction of Shingle Springs, California, has signed agreements to become the exclusive Gutter Shutter dealership in Northern California. Based in the Sacramento area, the City of Trees, Straight Line is excited to introduce the Gutter Shutter system to the area. 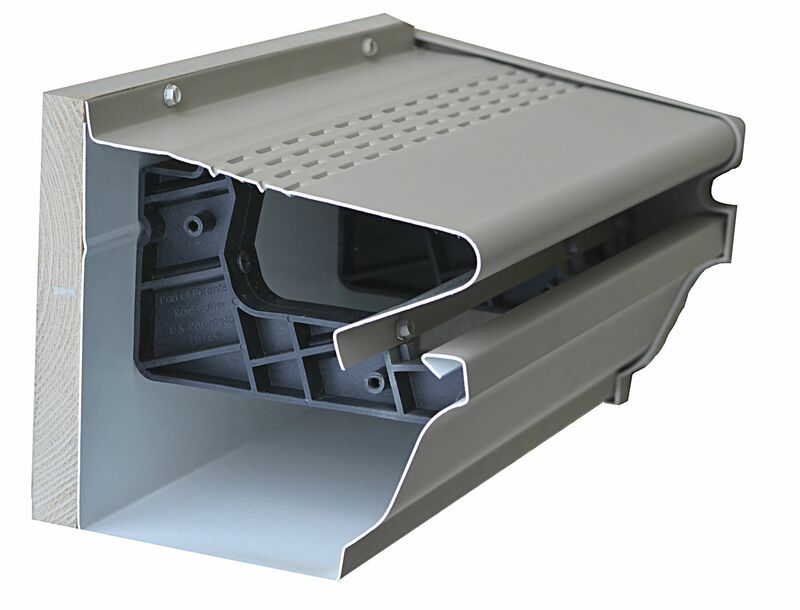 Gutter Shutter is GutterShutter is North America's leading manufacturer of Leaf & Debris Free systems. They use only the highest quality materials. Their manufacturing facility utilizes cutting edge technology to ensure precision. GutterShutter now provides installation of the GutterShutter System in 30 cities across the United States and Canada that are currently installing nearly 1 million feet of this stress-eliminating system across the company's independently owned locations each year! Straight Line Construction has acquired the highest levels of roofing manufacturer certifications—a status that less than 2% of roofing contractors nationwide have achieved—a candidate must demonstrate proper licensing and adequate insurance, have a proven reputation and show commitment to ongoing professional training. The addition of Gutter Shutter aligns well with our product portfolio and commitment to quality. Jack Borba, president of Straight Line Construction, wants people to know that his company likes to have fun. "Our teams work very hard for our customers," says Borba, "and they like to draw the customers in and have fun with them. It makes the project enjoyable and memorable for everyone. We love to create "raving fans" of our company!" Borba continues: "But there's also trust. Customers can be assured that everyone arriving at the job site is our employee—no subs. That enables us to control the quality and the experience. Our professionalism is highlighted by the steps we take to protect both employees and customers. We have workers' compensation and liability insurance in the event of injuries or property damage, all certified by the California Contractors State License Board." Quality service is the priority at Straight Line Construction. "Our commitment to customer satisfaction has built a reputation of reliability and honesty, earning respect from our suppliers, fellow contractors, and homeowners," says Borba. "We are proud to be contractors who can be entrusted with any project: residential roofing, roof repairs, windows, gutters and leaf guards, decks, and siding." The company's spotlight on commitment extends to the local community. "We focus on a few areas," says Borba, "such as Habitat for Humanity, youth sports, and active and veteran military families. Our primary focus is the Food Bank of El Dorado County. We have raised more than $115,000 over the years and recently won an NRCA award for our efforts." A member of the National Roofing Contractors Association and holds an A+ accreditation with the Better Business Bureau. To accommodate future growth, the company has moved to a larger building and added a destination design showroom. "It's the outside on the inside, we say," explains Borba. "A two-story-high warehouse space converted to walls of siding, roofing, and windows, with decks on the floor. It's an amazing experience for our customers." Regarding Straight Line Construction's future plans, Borba concludes: "We want continued growth. But mostly, we want to continue making customers happy, so that they cannot stop discussing the projects we've done for them!" Begun as a two-man roofing company in 1999, Straight Line Construction has grown and now offers a wide variety of roofing and exterior remodeling services. Proudly offering residential services for roof replacement, roof repairs, gutters, decks, windows and siding, the company is committed to continuing the quality and hard work that have allowed it to grow. Protecting the customer's biggest investment is the priority at Straight Line Construction. In 2003 The GutterShutter Company launched its national Dealer Marketing campaign from their Manufacturing HQ in Cincinnati, Ohio, with the goal of providing homeowners nationwide with a "complete" Leaf & Debris Free gutter system that would eliminate all the issues that a homeowner has with standard gutters. Since the company's founding, GutterShutter now provides installation of the GutterShutter System in 30 cities across the United States and Canada that are currently installing nearly 1 million feet of this stress-eliminating system across the company's independently owned locations each year!